"An enemy will become an ally." 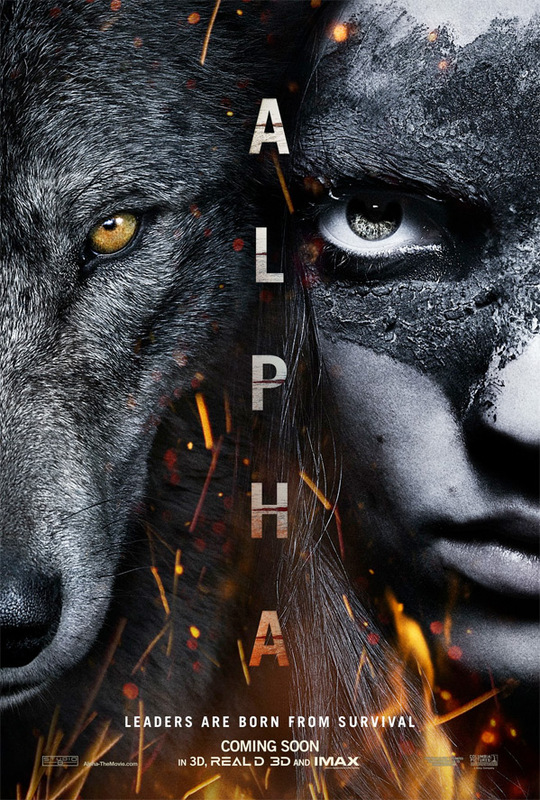 Sony Pictures has unveiled a trailer for an epic new action thriller titled Alpha, formerly known as The Solutrean (which is a very weird title so it makes sense they changed it). This is the latest feature film from Albert Hughes, who last directed The Book of Eli in 2010, and it's set during the last Ice Age - 20,000 years ago (kind of like Emmerich's 10,000 BC). This epic adventure follows the story of Zeta, played by Kodi Smit-McPhee, a young man injured on a bison hunt left for dead. He befriends a lone wolf and together they figure out how to survive in this harsh environment. So basically it's The Revenant meets 10,000 BC. The full cast includes Natassia Malthe, Leonor Varela, Jóhannes Haukur Jóhannesson, Mercedes de la Zerda, and Jens Hultén. I really, really adore wolves, so I'm already into this. But this trailer is a bit awkward, not sure if it's going to be really good or not, hard to tell. Europe, 20,000 years ago. While on his first hunt, an initiation to his tribe’s most elite group, a young man, Zeta, is injured and left for dead after a bison hunt goes horribly wrong. Awaking to find himself broken, alone, and miles from his village – he must learn to survive and navigate the harsh and unforgiving wilderness. Reluctantly taming a lone wolf, Alpha, abandoned by its pack, the pair learn to rely on each other to hunt and become unlikely allies, enduring countless dangers and overwhelming odds in order to find their way home before the deadly winter arrives. Alpha is directed by American filmmaker Albert Hughes, of Menace II Society, Dead Presidents, From Hell (these three with his brother), and The Book of Eli previously. The screenplay is written by Dan Wiedenhaupt; based on a story by Albert Hughes. Sony releases Alpha in theaters everywhere starting March 2nd, 2018 early next year. First impression?